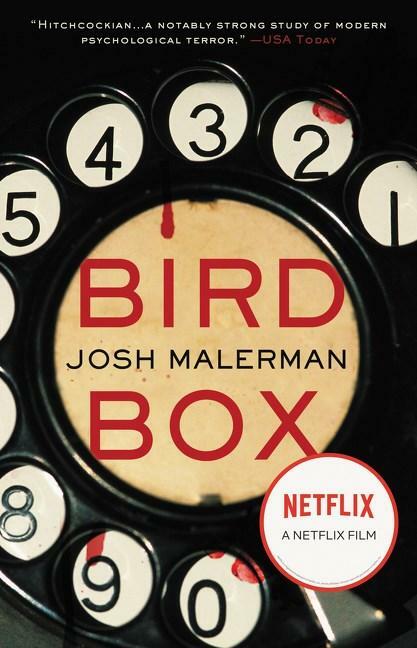 The movie is based on a 2014 novel by Josh Malerman. Like many avid readers, I wanted to check out the original work before chilling with the Netflix version. And now that I have, I can assure you it’s well worth the read. The novel opens with a woman named Malorie living in a boarded-up house near Detroit with two young children. Malorie hasn’t looked outside for four years; the children never have. But she is preparing to get into a rowboat and take the kids on a journey down river that they’ll all have to make blindfolded. Where they’re going, and why, and the reason for the blindfolds are all a mystery, which the author judiciously and stunningly reveals by flashing back to an era before the present crisis. “Bird Box” envisions a world where an insanity pandemic causes people to suddenly commit murder-suicides. What they see, no one can say, because no one survives contact. Holing up indoors, covering windows and wearing blindfolds seem to be the only protection. Malerman’s novel unfolds bit by bit, with shocking scenes and hints of a Boogyman that is all the more chilling because of its mystery. I stayed up way too late finishing the book, because each chapter begged another, and another. But what’s a little lost sleep when you’re caught up in such a captivating story? Netflix offers dozens of movies and series based on creepy novels, including “Gone Girl,” “Carrie” and “The Haunting of Hill House.” All great films, but check out the books to get the real story.